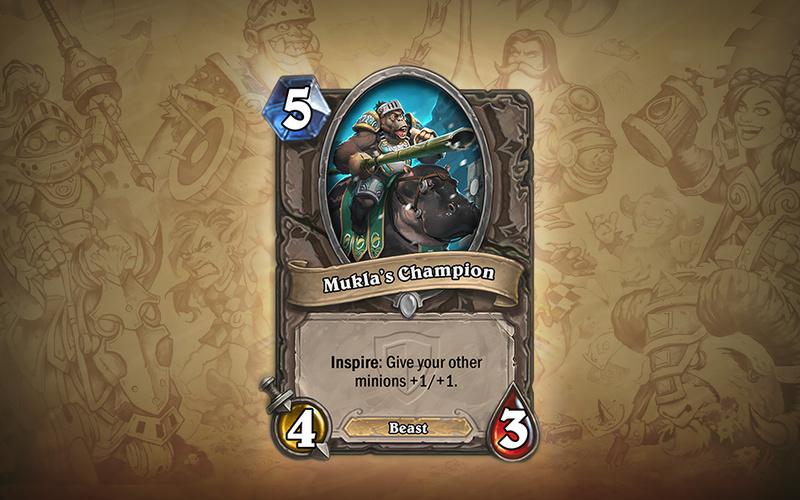 The Grand Tournament - Honor! Valor! Knighthood! Join us on a tour of The Grand Tournament, Hearthstone’s second expansion, to explore the tournament grounds before everything really kicks off later this month. Nothing symbolizes the ideals of honor and chivalry more than a glorious knight mounted on a majestic steed! Ah, yes! Valor! Chivalry! Shining armor! Lances! Murlocs riding frogs! MECHS! 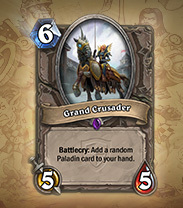 Indeed, The Grand Tournament has all this and more! The many denizens of Azeroth (and beyond) are represented by aspiring champions in this contest. Those with the good fortune of being among the cheering spectators are sure to feast their eyes on a veritable cornucopia of courageous cavaliers clashing in courtly combat. Whew! Try nobly shouting that three times fast. A tournament where apes learned knighthood from men? Turns out that when it comes to inspiring others to grand feats of strength and heroism, passing a few bananas* around does the trick. 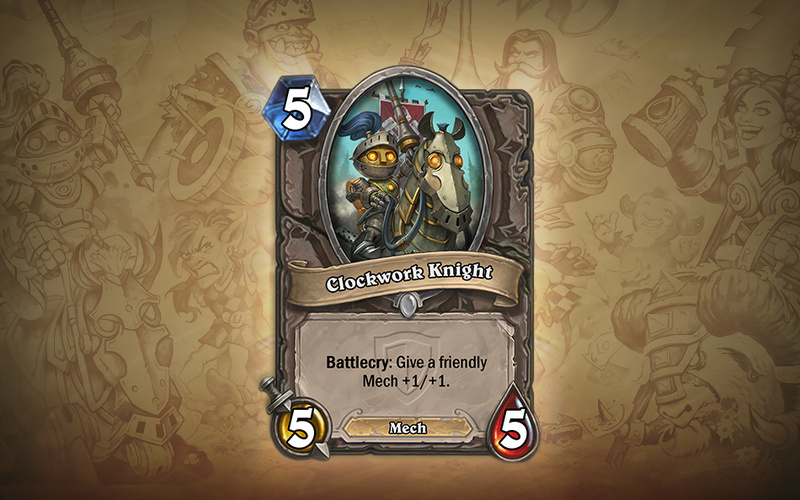 The Clockwork Knight is one of the few combatants in the Grand Tournament who has to perform regularly scheduled maintenance on a steed. 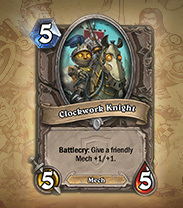 After the Clockwork Knight finishes tinkering, there are almost always some parts left over to upgrade fellow mechs on the battlefield! Sometimes, a mere crusader just isn’t enough. 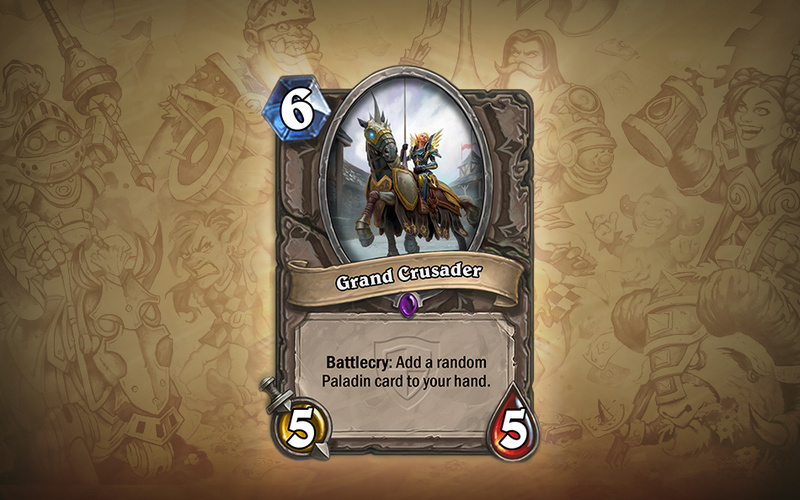 For those times, choose a Grand Crusader instead. Not only does it slice, dice, and gleam with holy light, this shining paragon of knighthood packs a potent Paladin punch! Hero Powers – Get Inspired – A Grand Celebration – Honor! Valor! Knighthood! 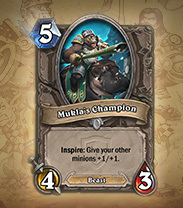 Don’t forget to discuss the new cards revealed in The Grand Tournament on social media using the hashtag #TGT! *Hearthstone does not condone the use of performance-enhancing fruit.